Z's is the place to be! Find all the things that start with Z. Things that Start with F! This game page will challenge your child's alphabet phonics skills as she finds the things that start with F on the page. From learning alphabet sounds to working on spelling this worksheet is ready to go as an alphabet game for your child, featuring the letter B! Things that Start with M! Get a jump on reading skills. Your child can practise her letter sounds by identify the pictures that start with M.
Things that Start with P! There are things that start with P on this page. Can your child find them? He'll practise phonics, which is a building block to reading. Take alphabet phonics learning with you! Print a few of these alphabet worksheets out to help your child work on letter sounds. Things that Start with E! This game page will challenge your child's alphabet phonics skills as he finds the things that start with E.
Things that Start with T! Alphabet phonics is a building block for reading (even spelling). Use this page on thing that start with T to hone your child's alphabet work. You know you and your child can find the things that start with Y! 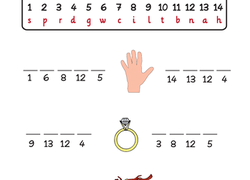 Help her phonics skills and pre-reading practise with printables like this one. Alphabet Phonics: Start with A! Travelling? Help your child practise her alphabet on-the-go with this game of words beginning with A.